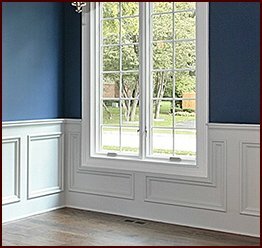 When you’re in need of wainscoting for a building or remodeling project in Providence, Rhode Island, choose Classic Mouldings. 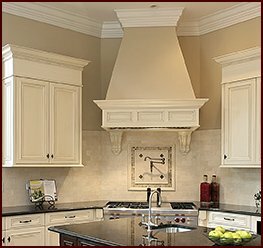 We are your source for solid wood moulding and other millwork created by our expert craftsmen. Whether you’re renovating a historic building, designing a new restaurant interior, or updating a hotel lobby, we have the wainscoting and other moulding products you need to complete your project. 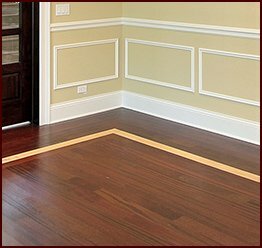 Extensive options – We offer wainscoting, moulding, and many other types of millwork to serve your building and remodeling needs. What’s more, our products are available in many different lumber species, including hardwood and softwood options that can be painted or stained to create the exact look you want. Experienced craftsmen – Thanks to the skills and experience our craftsmen possess, we are able to offer not just an extensive catalog of designs but also customization options. 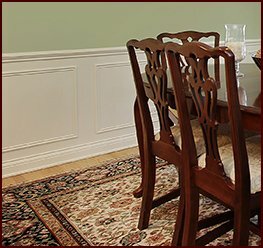 If you have a specific wainscoting design in mind or need certain specifications met, our craftsmen can likely make it happen for you. Convenient service – We give each order prompt attention, ensuring a quick turnaround time and minimizing any waiting time or downtime on your end. Once we’ve fulfilled your order, we’ll ship your pieces directly to your project site in Providence, RI. For finely crafted wainscoting and other wood products, the company to turn to is Classic Mouldings. Contact us today for more information and to place an order for your project in Providence, RI.